MDIC’s Board of Directors consists of world-class representatives from the medical device industry, government, and patient groups who work together to advance the mission of the consortium. President and CEO | Mitralign, Inc.
Senior Vice President and Chief Scientific, Clinical and Regulatory Officer | Medtronic, Inc.
Chairman and CEO | B. Braun of America Inc. and B. Braun Medical Inc.
Peter J. Arduini is Integra LifeSciences’ President and Chief Executive Officer and Director. Integra, a world leader in medical technology, is dedicated to limiting uncertainty for caregivers, so they can concentrate on providing the best patient care. Integra offers innovative solutions, including leading regenerative technologies, in specialty surgical solutions, orthopedics and tissue technologies. Mr. Arduini joined Integra in November 2010 as President and Chief Operating Officer and was appointed Chief Executive Officer and a Director in January 2012. Before joining Integra, Mr. Arduini was Corporate Vice President and President of Medication Delivery, Baxter Healthcare, which he joined in 2005. Mr. Arduini was responsible for a $4.8 billion global division of Baxter. Prior to joining Baxter, Mr. Arduini worked for General Electric Healthcare, where he spent much of his 15 years in a variety of management roles for domestic and global businesses. Prior to joining General Electric Healthcare, he spent four years with Procter and Gamble in sales and marketing. Mr. Arduini serves on the Board of Directors of ADVAMED, the Advanced Medical Technology Association, and the Board of Directors of the National Italian American Foundation. Mr. Arduini received his Bachelor’s Degree in Marketing from Susquehanna University and a Master’s in Management from Northwestern University’s Kellogg School of Management. 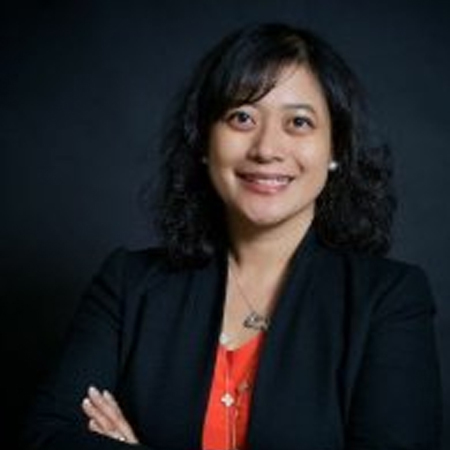 Tanisha Carino is a respected senior executive with more than two decades of experience in academia, government, and the private sector. She joined the Milken Institute in January 2018 as executive director of FasterCures, the center devoted to saving lives and improving the medical research system. Throughout her distinguished career, Carino has been at the forefront of collaborative efforts to promote policies, research, and business practices that support the fight against disease and improve the lives of patients. She most recently led the U.S. policy function for GlaxoSmithKline, a U.K.-based global health-care company. 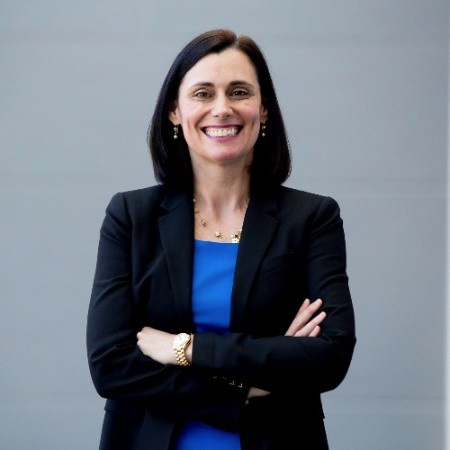 Prior to her role at GlaxoSmithKline, she spent more than a decade with Avalere Health, where, among other responsibilities, she founded the Center on Evidence Based Medicine and worked with patients, government, and senior leaders at Fortune 500 companies to maximize opportunities and mitigate challenges related to biomedical research and patient access. Prior to Avalere, Carino worked in the Medicare program to improve access for its beneficiaries and support the development of real-world evidence. Carino serves on the boards of the Alliance for Health Policy, the Medical Device Innovation Consortium, and Bread for the City. She is also a member of the Drug Information Association’s Patient Group Advisory Council and Women of Impact. Carino holds a B.A. in sociology from Emory University in Atlanta and a Ph.D. in health policy from Johns Hopkins University in Baltimore. She is an associate faculty member at the Johns Hopkins Bloomberg School of Public Health and a Fulbright fellow. Mark Carlson is Division Vice President and Chief Medical Officer at Abbott. In this capacity, Dr. Carlson leads a medical affairs organization that serves medical device divisions of Abbott Medical. Dr. Carlson joined Abbot in January 2017 when the company acquired St. Jude Medical. He joined St. Jude Medical in November 2006, serving as Chief Medical Officer and Senior Vice President of Research and Clinical Affairs, in the St. Jude Medical Implantable Electronic Systems Division until September 2013 and as Vice President, Global Clinical Affairs and Chief Medical Officer until Abbott acquired the company. Dr. Carlson received his M.D. from the University of Kansas, a Masters degree in public policy from Duke University, and a B.S. from Kansas State University. He trained in internal medicine at University Hospitals of Cleveland and Case Western Reserve University and in cardiology and cardiac electrophysiology at the Massachusetts General Hospital and Harvard University. He joined the faculty of Case Western Reserve University in 1988 and remains on faculty as adjunct professor of medicine. His research on arrhythmias and neural control has resulted in over 150 publications. As a Robert Wood Johnson Fellow on Senator Orrin Hatch’s Senate Judiciary Committee, Dr. Carlson worked on the Medicare Prescription Drug, Improvement and Modernization Act and the Cord Blood Stem Cell Act. Thereafter, he returned to Case as associate vice president, government relations. Dr. Carlson served on the FDA’s Devices Dispute Resolution Panel, the NCDR ICD registry steering committee, and chaired the HRS Health Policy Committee, the ACC Electrophysiology Committee, the HRS/FDA Policy Conference on Device Performance, and the HRS task force on device performance policies and guidelines and the Medicare Evidence Development & Coverage Advisory Committee. He is a member of the board of directors of the Medical Device Innovation Consortium. 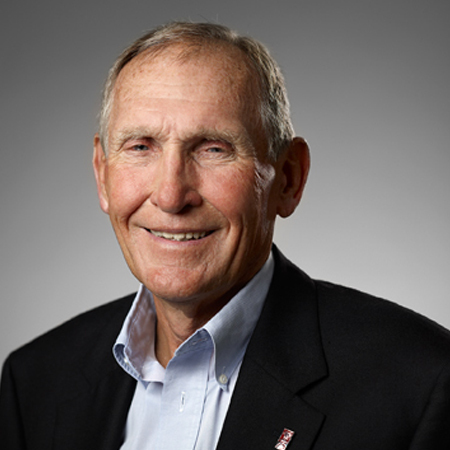 Dr. Carlson is a member of the board and past President of the West Los Angeles County Council of the Boy Scouts of America, and a member of the Dean’s Advisory Council at Kansas State University. 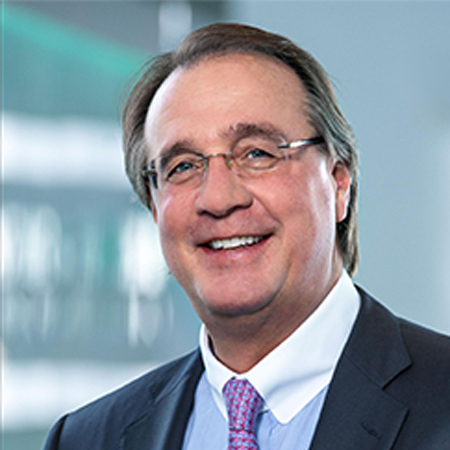 Steve Ferguson serves as Chairman of the Board of Cook Group Incorporated, the parent company of Cook companies worldwide involved in the research, development, manufacture and the sale of medical devices. Since 1963 Cook Group companies have been combining medical devices, biologic materials and cellular therapies to help the world’s healthcare systems deliver better outcomes more efficiently. Cook Group companies employ more than 12,000 people globally with operations in North America, Europe and Asia-Pacific. Today, Cook manufactures more than 16,000 products that serve more than 40 medical specialties in 135 countries. Steve Ferguson served four terms in the Indiana House of Representatives from 1967 to 1974. He is active in a number of university, community, state, and national organizations, including: Medical Technology Leadership Forum, Indiana Health Industry Forum, Indiana Chamber of Commerce, Central Indiana Corporate Partnership, Regenstrief Foundation, and The Center for Human Growth. He served on the Indiana Education Roundtable and is a former member and past Chairman of the State of Indiana Commission for Higher Education (1992-98). 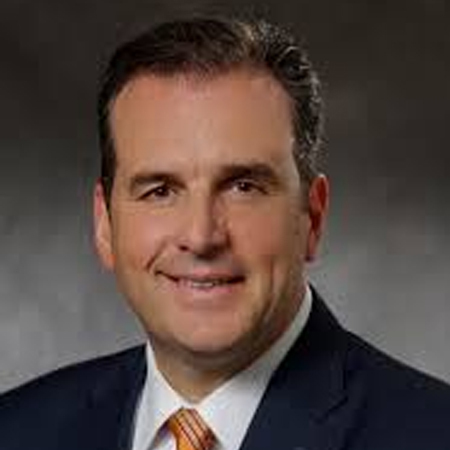 In 1998, he was appointed to the Indiana University Board of Trustees by Governor Frank O’Bannon, was re-appointed to the Board by Governor Joe Kernan in 2004, and by Governor Mitch Daniels in 2007 and 2009, serving as President of the Board for three years. Mr. Ferguson received his A.B. from Wabash College in 1963 and a J.D. with distinction from Indiana University School of Law in 1966. 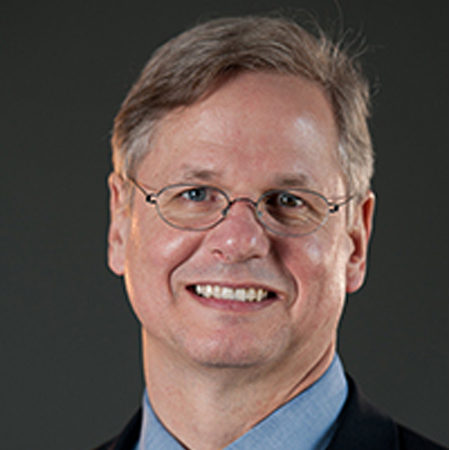 Doug Fridsma, MD, PhD, FACP, FACMI, is the President and Chief Executive Officer of AMIA, a $6.2 million 501 c (3) membership society representing 5400 professional and student informaticians and their interests and activities in academe, industry, government and nonprofit organizations. AMIA’s sphere of influence focuses on both research and practice within the five primary informatics domains—translational bioinformatics, clinical research, consumer, public health and clinical informatics. 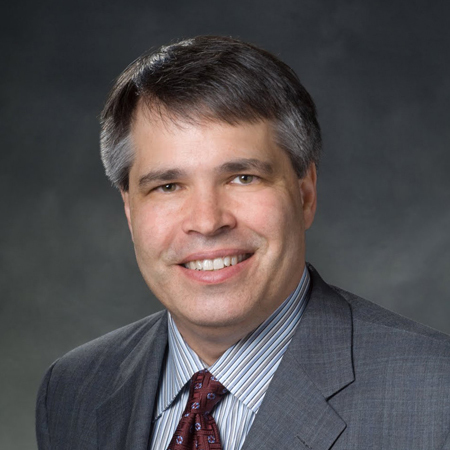 Dr. Fridsma is well-known in the informatics and healthcare community as an expert in informatics, interoperability, standards, and health IT (including meaningful use). His understanding of the science and application of informatics and experience as practitioner and policymaker give him a depth of knowledge well-suited to the critical challenge of transforming health and health care. 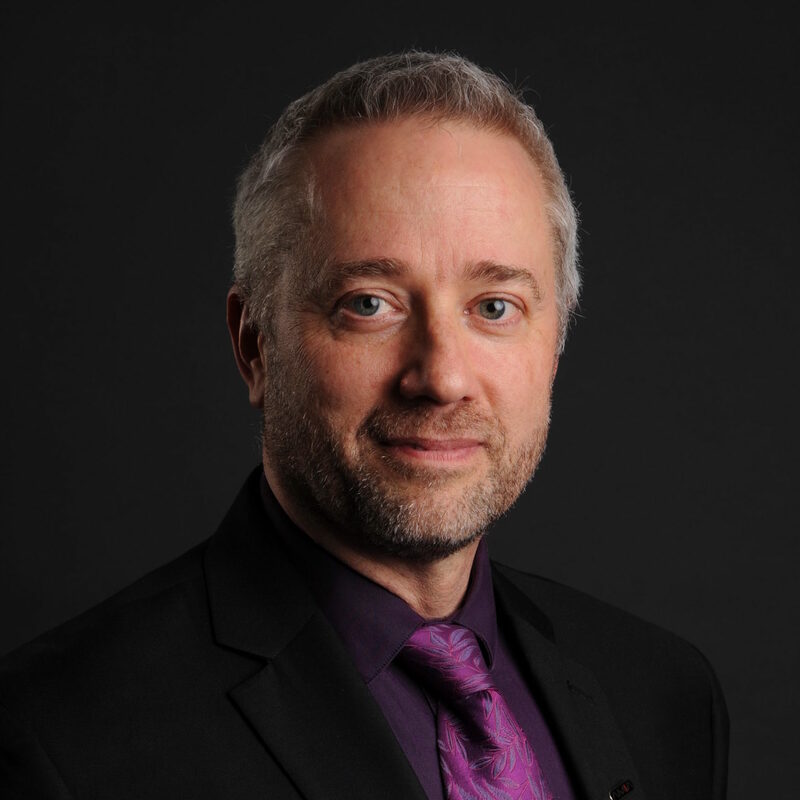 Prior to joining AMIA, Dr. Fridsma was the Chief Science Officer for the Office of the National Coordinator for Health Information Technology, responsible for the portfolio of technical resources needed to support the meaningful use program and health information technology interoperability. He was engaged in key initiatives involving the Federal Health Architecture; the Patient Centered Outcomes Research Trust Fund (PCOR-TF) and the Standards and Implementation Framework. Dr. Fridsma’s professional experience also includes academic appointments at the Arizona State University/University of Arizona, Department of Biomedical Informatics; the University of Arizona Medical School; the University of Pittsburgh, Department of Medicine and Department of Biomedical Informatics; and Stanford University Medical Center (Fellow, National Library of Medicine). His clinical practice was with the Mayo Clinic, Scottsdale, Arizona. He is also a published author with 25+ refereed articles, and 80+ conference papers, posters, presentations, talks and panels. Dr. Fridsma received a Bachelor’s in Biomedical Sciences from the University of Michigan, and a Medical Doctorate degree in Internal Medicine from the University of Michigan School of Medicine—Inteflex. His Doctorate is in Biomedical Informatics from the Stanford University School of Medicine. Rick currently serves as the President and Chief Executive Officer of Mitralign, a venture-backed private company that has developed a transcatheter platform with a primary indication in tricuspid valve repair. 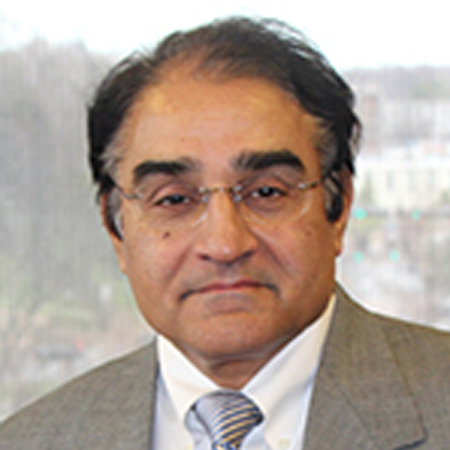 He is a current member of the Executive Committee and the Board of MDIC and also serves on the Accel Board of Advamed. Rick has over 30 years of management experience in the medical device industry and more than 25 years in the cardiovascular device space. 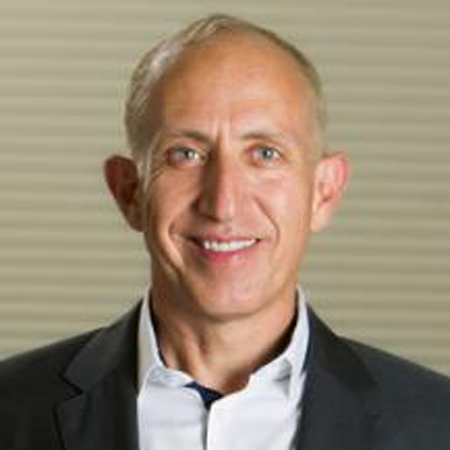 As the President & CEO of Accelerated Technologies, a medical device incubator, he led the company foundation and served as the early stage CEO for three medical device companies (CircuLite, FlowMedica, X-Cell) and guided the recapitalization and redirection of two additional medical device companies (Impella, Pathway). Mr. Geoffrion has served as the Chairman of Impella CardioSystems AG, CircuLite and FlowMedica, Inc. He holds a BSME and an MBA from the University of Connecticut. Pamela Goldberg is an internationally recognized leader in healthcare technology innovation and entrepreneurship. Recent clients include a major teaching hospital, a state interested in growing its healthcare and cybersecurity industries. Her leadership, technology focus and finance background make her a soughtafter speaker on the international circuit. Goldberg was previously CEO of the Massachusetts Technology Collaborative and the first woman to lead the organization in its 30-year history. Goldberg worked closely with industry, academic and government leaders to advance technology-based solutions that improved the health care system, expanded high-speed Internet access and strengthened the growth and development of the state’s technology sector with specific focus on digital health, data analytics, robotics, and cybersecurity. Passionate about innovation and entrepreneurship, Goldberg served as the Director of The Center for Entrepreneurial Leadership at Tufts University, a program she launched to drive innovation for the university. Through Goldberg’s leadership, the program grew to over 500 students per year, and supported the start of over 50 businesses in Massachusetts. Goldberg received the Acton Foundation’s National Teaching Award for Entrepreneurship and established the school’s nationally recognized business plan competition. During her time as Director of Business Relations at Babson College, she was involved in the creation of Olin College, the building of a new Executive Education Center, and helped to enhance community relations between the college and its neighbors. Goldberg is advisor and board member to several technology startups and earlier in her career launched three start-up ventures: a music production company, a women’s history organization and a hospice. At the start of her career, she was an investment banker at Citibank and then launched the investment banking division of State Street Bank. Goldberg received her BA from Tufts University and MBA from Stanford University. She resides in Wellesley. 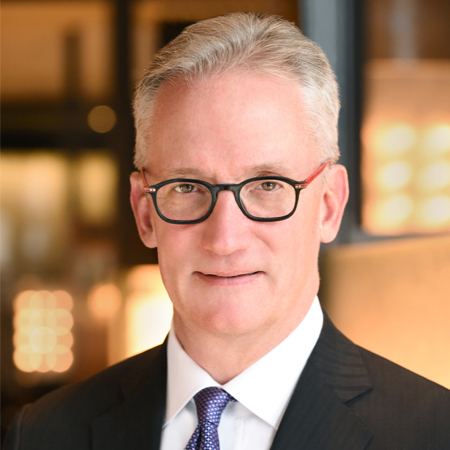 Chip Hance is CEO of Regatta Medical, headquartered in Chicago, IL, and focuses on acquiring companies and assets in either the products or services areas of the medical device industry as part of a strategy to build a market-leading company in the space. Mr. Hance most recently served as Chief Executive Officer of Creganna Medical, a leading supplier of contract manufacturing services for medical devices. In 2012-13, Hance was an Entrepreneur-in-Residence at CDRH within the FDA. He co-led the Innovation Pathway team focused on streamlining aspects of medical device clinical trials in the U.S. Prior to his FDA experience, Hance was most recently President of Abbott Vascular, the cardiovascular device division of Abbott. Over a decade in interventional cardiology at Abbott Vascular, Hance led the organization to global leadership in the drug-eluting stent market through the launch of Xience in the U.S., Japan and China. Hance also led the development and CE marking of Absorb, a bioabsorbable scaffold for the treatment of coronary disease and the acquisition and international expansion of Mitraclip, a percutaneous mitral valve repair device. Hance earned a bachelor’s degree in Chemical Engineering from the Massachusetts Institute of Technology and a master’s degree in Business Administration from Harvard Business School. 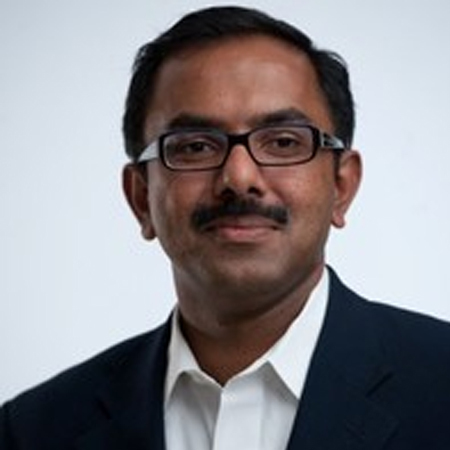 Dr. Jijo James is the Chief Medical Officer for Johnson & Johnson Medical Devices. 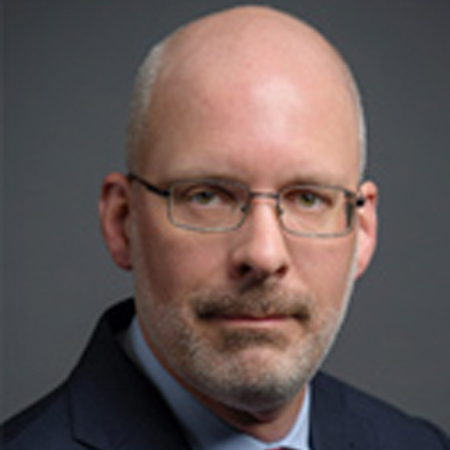 In the role, he leads the sector Medical Safety Organization and is responsible for overseeing patient monitoring and safety surveillance practices, and chairs the sector Development Committee and Medical Safety Council. In addition, he drives sector leadership in ensuring the highest medical and ethical standards, approaches to clinical data transparency and scientific integrity. Jijo is a member of the Johnson & Johnson Office of the Chief Medical Officer Senior Leadership team and Medical Devices R&D Leadership team. Previously, Dr. James was the Chief Medical Officer for The Johnson & Johnson Family of Consumer Companies where he lead the Safety Council for the Consumer sector and was a member of the Consumer R&D Leadership Team. Prior to joining Johnson & Johnson Dr. James spent six years at Pfizer Inc. where he held roles of increasing responsibility including Therapeutic Area Head in Bangalore, India, and Senior Director of Strategy and Operations for Pfizer Medical in New York. Dr. James previously spent nearly a decade as a consultant providing healthcare solutions to a variety of healthcare and life sciences companies. Dr. James began his medical career working as a primary care physician in both urban and rural community settings. Having received his medical degree from St. John’s Medical College in India, he later earned a Masters of Public Health degree in Population and Family studies from the Joseph L. Mailman School of Public Health, Columbia University, New York, NY. 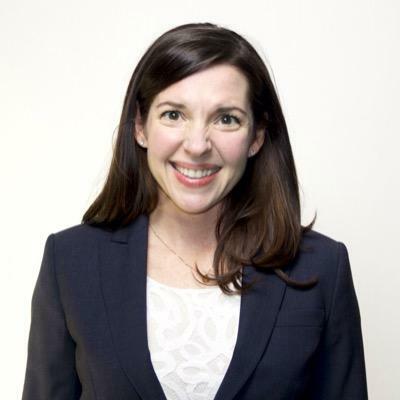 Tamara Syrek Jensen is the acting director for the Coverage and Analysis Group (CAG) at the Centers for Medicare & Medicaid Services (CMS). CAG develops, interprets, communicates, and updates evidence based national coverage policies. These policies help provide timely access to reasonable and necessary services and technologies to improve health outcomes for Medicare beneficiaries. Before her current position at CAG, she was the Special Assistant for the CMS Chief Medical Officer and Director of Office of Clinical Standards and Quality (OCSQ). Prior to working at CMS, she worked as a legislative assistant in the U.S. House of Representatives. Tamara is an attorney, licensed in Maryland. Most recently, he served as Chief Medical and Scientific Officer, Delcath Systems, Inc., New York, NY, developer of a combination drug/device for treating liver cancers. He was previously Professor (Tenured) & Chair of Radiology at the University of Massachusetts Medical School and Radiologist-in-Chief, UMASS Memorial Medical Center, Worcester, MA; Professor of Radiology, Cornell Medical School, and Chief of Service, Cardiovascular & Interventional Radiology, New York-Presbyterian Hospital, New York, NY; Associate Professor of Radiology, Harvard Medical School; and co-Director, Cardiovascular & Interventional Radiology, Brigham and Women’s Hospital, Boston, MA. He received a Ph.D in Engineering Science from Pennsylvania State University and an MD from the University of Miami. He was past President and Chair of the Society of Interventional Radiology Research & Education Foundation (SIRREF) and on the Board of Directors, Academy of Radiology Research (ARR). Dr. Rick Kuntz is Senior Vice President and Chief Scientific, Clinical and Regulatory Officer of Medtronic, Inc. In this role, which he assumed in August 2009, Kuntz oversees the company’s global regulatory affairs, health policy and reimbursement, clinical research activities, ventures and new therapies, strategy and innovation, corporate development, and acquisitions, integrations and divestitures functions. Kuntz joined Medtronic in October 2005 as Senior Vice President and President of Medtronic Neuromodulation, which encompasses the company’s products and therapies used in the treatment of chronic pain, movement disorders, spasticity, overactive bladder and urinary retention, benign prostatic hyperplasia, and gastroparesis. In this role he was responsible for the research, development, operations and product sales and marketing for each of these therapeutic areas worldwide. Kuntz brings to Medtronic a broad background and expertise in many different areas of healthcare. Prior to Medtronic he was the Founder and Chief Scientific Officer of the Harvard Clinical Research Institute (HCRI), a university-based contract research organization which coordinates National Institutes of Health (NIH) and industry clinical trials with the United States Food and Drug Administration (FDA). Kuntz has directed over 100 multicenter clinical trials and has authored more than 200 original publications. His major interests are traditional and alternative clinical trial design and biostatistics. Kuntz also served as Associate Professor of Medicine at Harvard Medical School, Chief of the Division of Clinical Biometrics, and an interventional cardiologist in the division of cardiovascular diseases at the Brigham and Women’s Hospital in Boston, MA. Kuntz graduated from Miami University, and received his medical degree from Case Western Reserve University School of Medicine. He completed his residency in internal medicine at the University of Texas Southwestern Medical School, and then completed fellowships in cardiovascular diseases and interventional cardiology at the Beth Israel Hospital and Harvard Medical School, Boston. Kuntz received his master’s of science in biostatistics from the Harvard School of Public Health. 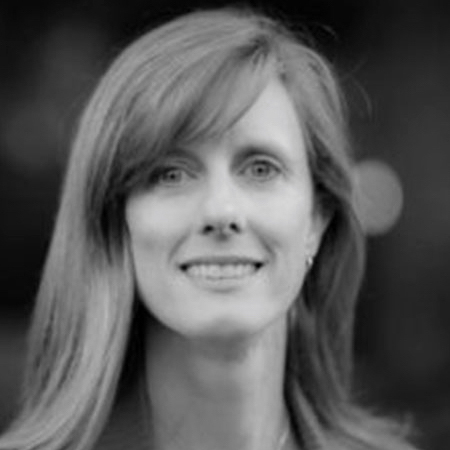 Dana is Chief Legal Counsel at Stryker and has more than fifteen years of experience in the life sciences industry. Dana leads a global legal and compliance organization advising the enterprise in the areas of regulatory, quality and clinical, manufacturing and supply, technology, digital innovation and cybersecurity, privacy, value-based healthcare, and commercial and government contracting. Prior to joining Stryker Dana served as Assistant General Counsel at Novo Nordisk, a global pharmaceutical company. In that role, Dana led the team providing legal support to the commercial, medical, compliance and government affairs organizations. Dana received her J.D. from New York University School of Law and her B.A. in English from Hamilton College. 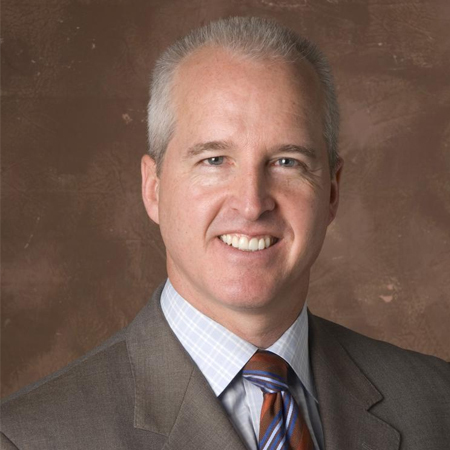 Mr. Michael R. Minogue is the Chief Executive Officer, President and Chairman of Abiomed Inc. (NASDAQ: ABMD). Since joining in April 2004, Mr. Minogue changed the corporate strategy and mission to creating breakthrough heart support technologies for patients to enable more complete minimally invasive procedures, heart muscle recovery and cost-effective patient care. To achieve this goal, Abiomed acquired and developed new technology such as the Impella, Symphony, recovery VADs and other heart support concepts. The Impella platform is based on the world’s smallest heart pumps which can be inserted percutaneously through a small hole in the leg. During Mr. Minogue’s tenure, Abiomed has grown more than five times in revenue and market capitalization and become GAAP profitable with no debt. Pertaining to product development, Abiomed has earned greater than 15 regulatory approvals on new products related to the CE Mark, 510(k), PMA and HDE. Prior to joining Abiomed, Mr. Minogue completed a successful 11 year career at GE Healthcare. He departed GE as the Vice President of Americas Sales and Marketing for the $1B Information Technology business. At GE, Mr. Minogue held various leadership positions in sales, marketing, service, product engineering and software development. The experience includes the diagnostics of diseases from cancer to heart failure and in various technologies such as MRI, CT, PET, X-ray, Cardiology, and Information Technology and Monitoring. Prior to Abiomed and GE, Mr. Minogue served as an infantry officer in the U.S. Army for four years and eight years Individual Ready Reserve, which included multiple distinctions including Airborne, RANGER, Combat and Expert Infantryman’s badge, Desert Storm Veteran and Bronze Star. He received his Bachelor of Science degree in Engineering Management from the United States Military Academy at West Point and his MBA from the University of Chicago. Mr. Minogue holds three patents, currently serves on the executive board of directors for AdvaMed, was formerly on the board for LifeCell Corporation (LIFC), and provides personal support for organizations helping military veterans and wounded warriors. Caroll Heinz Neubauer is a member of the global Management Board of the B. Braun Melsungen Group of Companies. 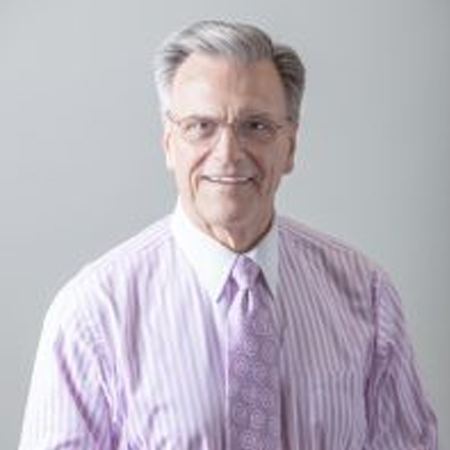 Mr. Neubauer oversees the North America operations from Bethlehem, PA, where he serves as the Chairman and Chief Executive Officer of B. Braun of America Inc. and B. Braun Medical Inc.
Mr. Neubauer has served B. Braun for more than 25 years. In 1991, he was elected to the Management Board of B. Braun Melsungen AG and appointed General Counsel for the B. Braun group. Prior to that, he was the Head of the Legal, Security and Environmental Matters Departments for B. Braun Melsungen AG. 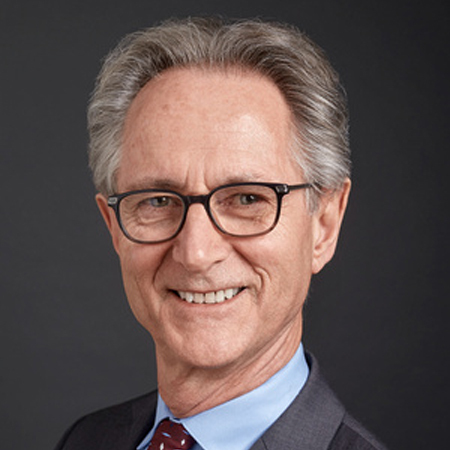 Mr. Neubauer began his career with B. Braun in 1988 at B. Braun Melsungen AG, where he served as Legal Assistant to the Chairman of the Board and principal of the company. Mr. Neubauer is, inter alia, currently the Chairman of the German American Chamber of Commerce New York, and a member of the Board of Directors of AdvaMed (the industrial association of medical device manufactures in the U.S.). He also serves as a member of the President’s Advisory Group of the U.S. Chamber of Commerce. Mr. Neubauer was born in New Jersey, and completed his schooling in both the United States and Germany. He earned a German Law Degree from The Albert Ludwigs University, Freiburg, Germany in 1983. Mr. Neubauer earned his Master of Laws (LL.M.) from Georgetown University in 1987. Dr. Olin joined Cyberonics in May 2009 as Vice President, Quality. In August 2009, he assumed additional responsibility for Clinical Affairs, and in April 2011, his responsibilities were expanded again to include Regulatory Affairs. With the 2015 merger between Cyberonics and Sorin, his responsibilities expanded to include corporate-wide responsibilities for the clinical, quality and regulatory affairs functions at LivaNova. Prior to May 2009, Dr. Olin was employed at Zeltiq Aesthetics, Inc., a privately held medical technology company in the San Francisco area, where he served as Sr. Director, Quality Assurance since October 2007. Prior to Zeltiq Aesthetics, Dr. Olin was employed at the LifeScan and Cordis companies of Johnson & Johnson from 1999 to 2007, holding several positions of increasing responsibility in quality assurance, statistics and clinical data management. 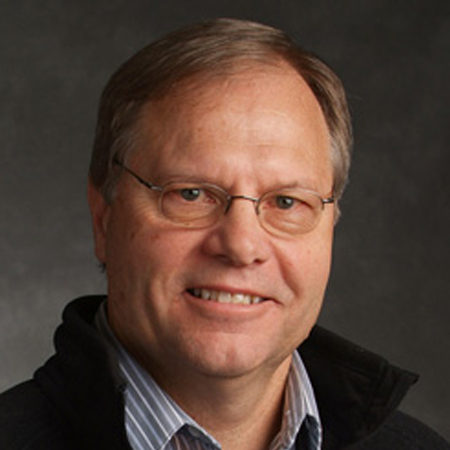 Dr. Olin began his career with Procter & Gamble in 1993 after obtaining his Ph.D. in Statistics from Iowa State University. He currently serves on the board of directors for the Medical Devices Innovation Consortium (MDIC) and as an industry representative on the Advisory Committee for The National Patient-Centered Clinical Research Network (PCORnet). Linda Peters is Executive Vice President and Chief Regulatory Officer, at Becton Dickinson (BD), headquartered in Franklin Lakes, New Jersey. In this role, Linda leads worldwide Regulatory Affairs, Public Policy and Healthcare Payment System functions, supporting all products across BD’s global business units. She has been with BD since February, 2017. Linda brings more than 27 years of Regulatory Affairs and Policy experience to this role, including 13 years at the executive/corporate officer level. Linda has a respected reputation with worldwide government regulatory agencies for bringing to market innovative medical devices, drugs and biologics. She has hands-on, new product launch and global expansion experience for regulated biopharmaceuticals and devices and is experienced in successfully overseeing quality/compliance related crises management issues on a global level with positive outcomes for both customers and the company. Linda joined BD from Validant Consulting where she has held the position of Senior Vice President, Client Services and Global Regulatory Affairs. Prior to that, Linda served as Vice President, Regulatory Affairs for Baxter International following her role as Senior Vice President/Corporate Officer, Global Regulatory Affairs at MedImmune/Astra Zeneca. Linda has had a successful career in Regulatory with positons of increasing responsibility across the Pharmaceutical and Medical Device industry, which includes; Sequoia Pharmaceuticals, Baxter Healthcare, Takeda Pharmaceuticals, TAP Pharmaceutical, G.D. Searle & Company and Mallinckrodt Inc.
Linda received both a Bachelor of Science and Master of Science degree in Animal Science from Southern Illinois University and an MBA from Northwestern University Kellogg School of Management. 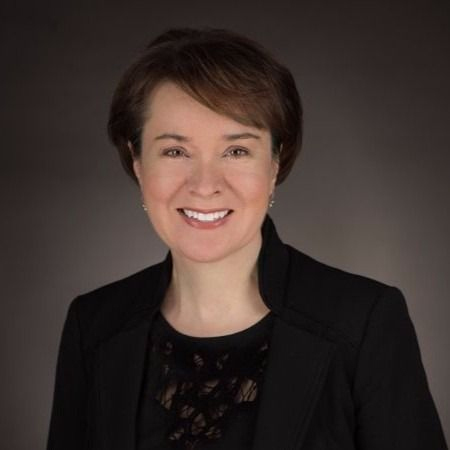 Ms. Petrovic has served as President and Chief Executive Officer since January 1, 2019 and has served on the Board of Directors since September 2018. Prior to becoming Chief Executive Officer, she served as Insulet’s President and Chief Operating Officer from October 2016 to December 31, 2018. From February 2016 to October 2016, she served as Executive Vice President and President, Diabetes Products, and from February 2015 to February 2016, she served as Chief Commercial Officer. From 2013 to 2015, Ms. Petrovic served as President and Chief Executive Officer of Clinical Innovations, LLC, a developer and manufacturer of medical devices and diagnostics for women’s health. From 2000 to 2013, she served in a number of key roles at Hologic, Inc. and Cytyc Corporation, which merged with Hologic in October 2007, including Vice President and General Manager of Hologic’s GYN Surgical Products division, as well as various sales and marketing leadership roles in the U.S. and Europe. Ms. Petrovic earned her Bachelor of Science in Biology from the University of Wisconsin. Peter is NORD’s President and Chief Executive Officer. He has over 30 years of healthcare experience in both for-profit and not-for-profit environments, as well as extensive federal and commercial market knowledge. Peter has held senior positions within a number of major academic medical centers and organizations, including Harvard’s Brigham and Women’s Hospital, Tufts-New England Medical Center and St. Elizabeth’s Medical Center of Boston. Randall (Randy) Schiestl, PMP, is the Vice President of Global Technology at Boston Scientific, where he leads a team to deliver computational analysis, technology roadmapping, product design, packaging & labeling, knowledge management, and lab & test services. Randy’s latest role is building Global Technical Community across the corporation. He has BSME, MBA and Executive MBA degrees from the University of Minnesota. Randy received the UMAA Alumni Service Award from the College of Science & Engineering in 2011 and the Design of Medical Device Conference Award in 2012. 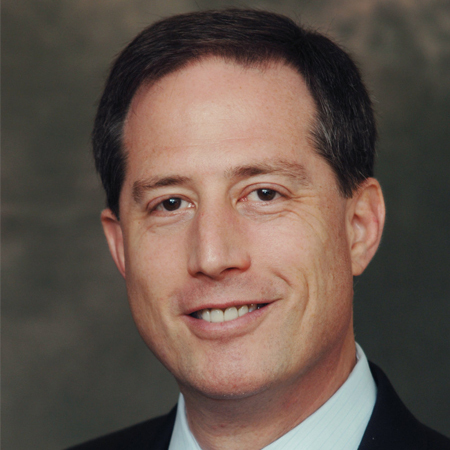 Jeffrey Shuren, MD, JD is the Director of the Center for Devices and Radiological Health (CDRH) at FDA. He previously served as Acting Center Director. Dr. Shuren has held various policy and planning positions within FDA from 1998 to 2009, including Acting Deputy Commissioner for Policy, Planning, and Budget; Associate Commissioner for Policy and Planning; and Special Counsel to the Principal Deputy Commissioner. Dr. Shuren is board certified in Neurology and served as an Assistant Professor of Neurology at the University of Cincinnati. In 1998, Dr. Shuren joined FDA as a Medical Officer in the Office of Policy. In 2000, he served as a detailee on the Senate HELP Committee. In 2001, he became the Director of the Division of Items and Devices in the Coverage and Analysis Group at the Centers for Medicare and Medicaid Services. From 1998 to 2003, he served as a Staff Volunteer in the National Institutes of Health’s National Institute of Neurological Disorders and Stroke Cognitive Neuroscience Section supervising and designing clinical studies on human reasoning. Dr. Shuren returned to FDA as the Assistant Commissioner for Policy in 2003, and assumed his current position in September 2009. Mr. Nadim Yared has been the President and Chief Executive Officer of CVRx Inc. since October 4, 2006. Mr. Yared served as Vice President and General Manager of Medtronic Navigation (formerly Medtronic, Inc.), the leading supplier of integrated image-guided surgery products in the world from 2002 to 2006. 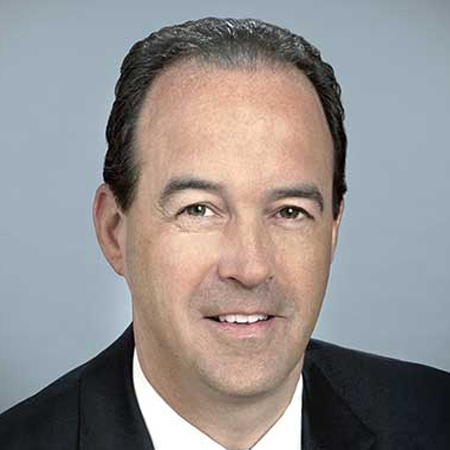 He joined Medtronic Navigation in 2002 after a 10-year career with GE Medical, where he held engineering and marketing management positions of increasing responsibility, including Vice President and General Manager of GE’s European X-ray business. He served as Vice President of Global Marketing for the OEC Medical Systems. He has been Director of Hansen Medical, Inc. since July 2012. He serves as Director of AdvaMed, and Intio, a privately-held interventional oncology company. He serves as a Director of CVRx Inc. Mr. Yared received an engineering degree from Ecole Nationale Superieure des Télécommunications and an MBA degree from INSEAD in Paris.